Andrey, not a bad idea. I have some (actually many) I wouldn''t mind unloading from my favorites. I''ll have to go through them when I have more time. Here''s two...on Princesses...and AGS certificates. I always found Boston Jeff''s cushion thread to be very imformative and helpful..
paramexports and WonderWoman711 like this. This is one of my all time faves. Subject: Can you use an Ultrasonic Cleaner to often? ETA: No Ammonia for white gold! Article on Diamon hardness and damage. This is handy for converting diameter to carats & vice-versa. I thought the thread discussing the terms/concepts "Ideal/AGS Ideal" was as interesting as it was informative. Here is the link. I think that is an excellent idea Andrey. A Cushion by Any Other Name is also another good one. I found this to be a great thread. This person plugged the certificate numbers into the HCA and then looked at the stones w/the Idealscope and compared the numbers of the HCA to what they saw in the Ideal scope. Speaking of helpful threads, is there a thread somewhere in the forums that I''m totally overlooking with picture-taking hints? It''s difficult capturing diamonds and it would be so helpful to us newbies to have camera hints all in one place. I''ve done searches on Pricescope for picture taking hints, handshot hints, etc. and haven''t found anything relevant yet. I did run across a post on resizing pics, but I''m not quite at that point yet. This thread, containing images of H&A and non H&A diamonds is a great intro to the topic. It also shows some of the differences between AGS and GIA grading. This isn't a thread but I have seen it posted in threads, I hope that is okay. This is helpful if you have the certificate number for either GIA or AGS. 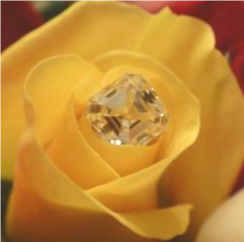 Has this conversation about contextualizing the value of a flawless diamond occurred before? (It''s happening as I write this!) Maybe, but I haven''t seen it before. Although there may be a historical basis for valuing the old AGS triple zero...the smart guys on Pricescope have given the meaning of a "perfect" clarity grade a run for their money, I''d say. this thread on girdle thickness, (or thiness ), polished, faceted or bruted - was amazing and opend up another area of diamon knowledge for me. This looks like a helpful thread thanks to splinter. "There are a few threads out there detailing the process to follow for getting a custom ring made, but I figured the more information the better." This looks like a helpful thread on jewelry boxes. Why does a round diamonds have different length and width? It is a good account of th eprocess as well. How do i find her ring size? This isn''t a thread but I have seen it posted in threads, I hope that is okay. This is helpful if you have the certificate number for either GIA or AGS.